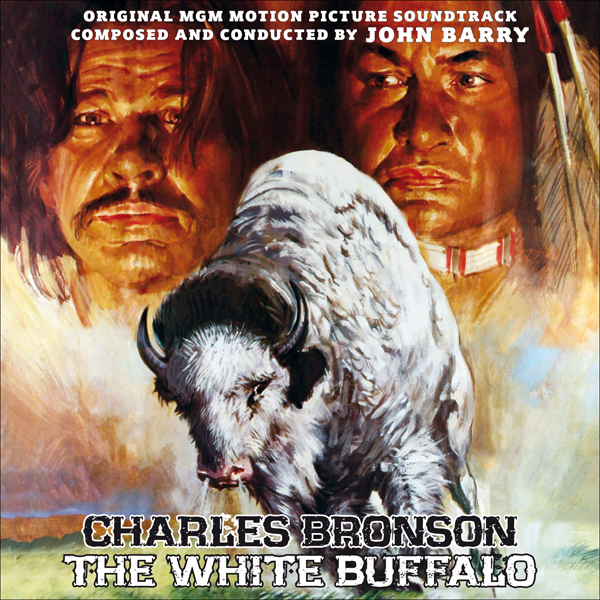 The unexpected release of an unused score by a favorite composer is always thrilling and in the case of our 467th Soundtrack of the Week it's for a movie we liked: The White Buffalo. John Barry's soundtrack, which is heard in the film, was the 85th Soundtrack of the Week and now we look at the David Shire's rejected music. This CD has both Barry's score and Shire's though only Barry's name is on the cover. Shire's score is presented as sixteen cues, designated as "Part I', "Part II" etc. Then there are four "Camptown Medley" cues which would have been source music. The music is pulsing and brooding, with acoustic guitar and drums working together to keep the momentum rolling while piano, strings and winds move over the foundation. The sound is modern and deeply interesting, with Shire using 12-tone concepts for inspiration, as he did with his music for The Taking of Pelham 123. Electric guitars are used subtly and often texturally, as are some other mysterious percussion instruments. It's angular yet lyrical, pensive yet flowing and it makes me want to watch the movie again. I remember enjoying it the first time around. Since this recording of Shire's score exists, it would be great to have a version of the film that used it so we could compare the two experiences.